Watch out Subway! Look out Lenny's! 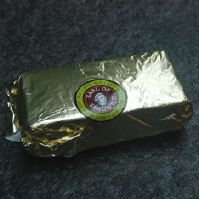 Because the Earl of Sandwich has arrived. This British import is cranking out surprisingly delicious hot sandwiches. Your pick at $5.99 apiece. First off, your sandwich arrives on artisan bread that tastes like it came right out of the oven. Mine was stuffed with crispy bacon, lettuce and tomato and brushed with seasoned mayonnaise. It was amazing and gone in minutes. 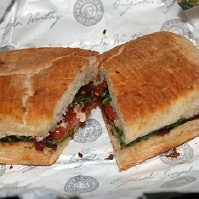 Other sandwiches include the Earl's Club with roast turkey, smoked bacon and aged Swiss, a tuna melt, and Hawaiian grilled chicken with ham and fresh pineapple. The shop says it's all to honor John Montagu who, in 1762, changed dining forever when he slapped some roast beef between two slices of bread and the sandwich was born. And today there's even one named after him - The Original 1762 - roast beef with sharp cheddar topped with a creamy horseradish sauce. 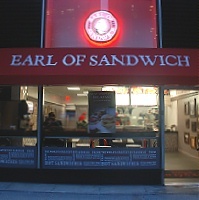 Earl's is also serving fresh salads and wraps along with baked goods including over-sized cookies and muffins.